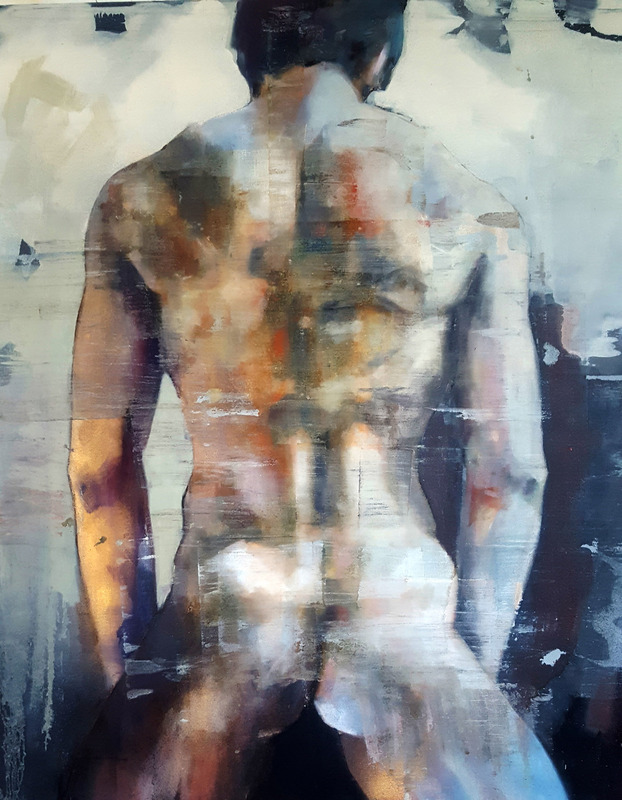 10-22-18 back study is a medium scale male figure study on canvas in oils using a muted palette contrasting with areas of vibrant colour. Painted with a loose application of paint, ranging from thin glazes to thicker impasto. It continues my interest in the presentation and concepts of beauty. 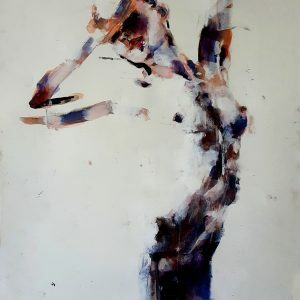 We are exposed to countless images of manipulated perfection of the human form. This work is a counter balance to this through the use of uneven surface textures and blotches of paint. Creating an awkward imperfect or flawed beauty. 10-22-18 back study is shipped using DHL including a tracking number. Rolled in a tube. The customer will receive the work within 2-3 days after dispatch.